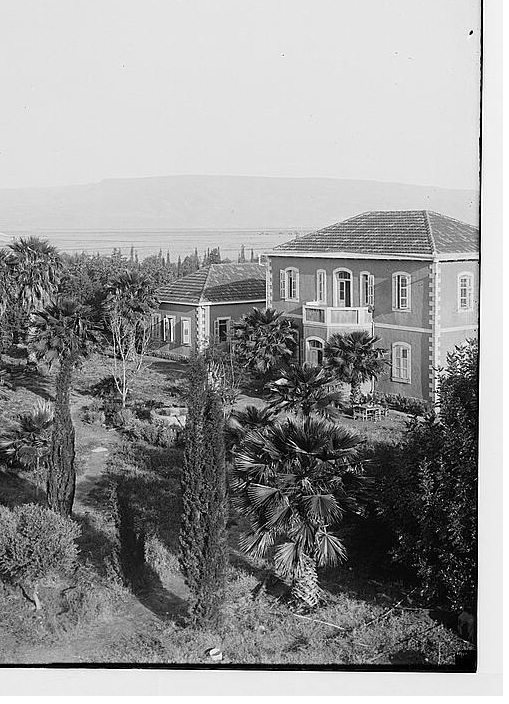 Degania was the first “kibbutz” in the Land of Israel, founded 100 years ago on the southern shores of the Sea of Galilee (Kinneret) while Palestine was still under Turkish rule. 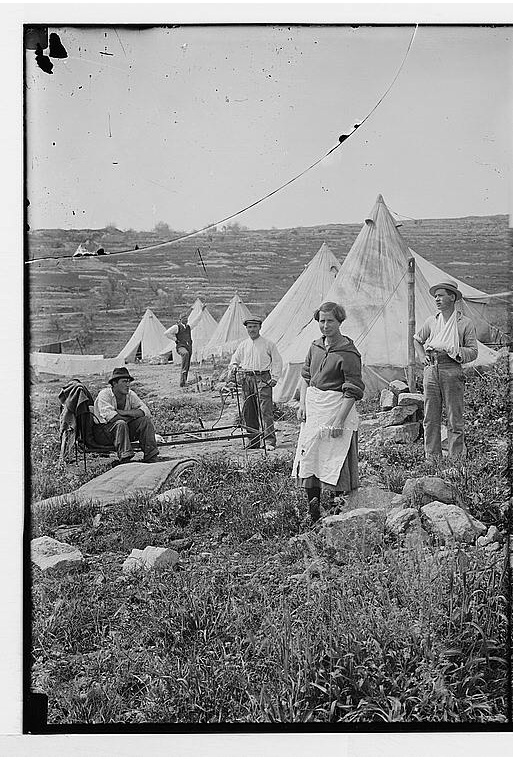 Built on lands purchased by the Jewish National Fund, Degania served as a training ground for many of Israel’s leading socialist leaders. Moshe Dayan, for instance,was born at Degania in 1915. The Library of Congress collection lists this photograph of Degania (right) as being taken between 1920 and 1930. 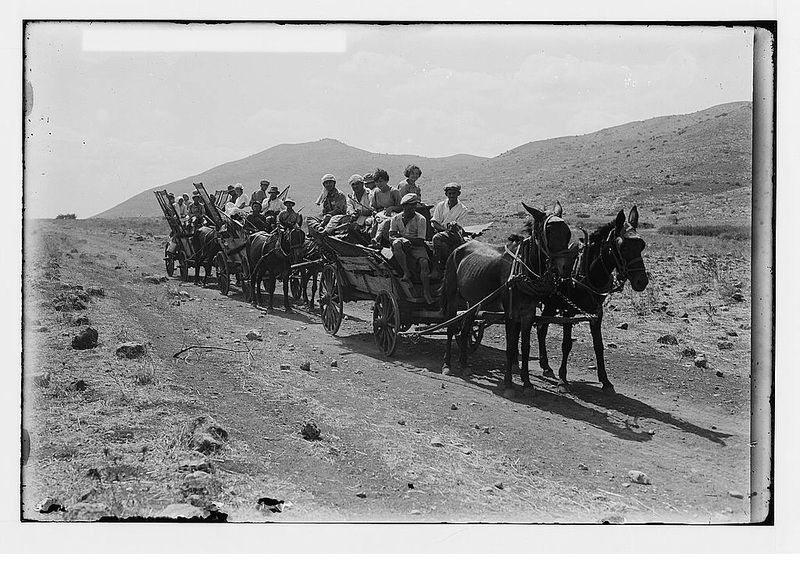 Click here to view a1937 film of Degania from the Spielberg Jewish film archives. If you want to receive A Picture a Day delivered to your computer, just sign up in the "Follow by email" box in the right sidebar. 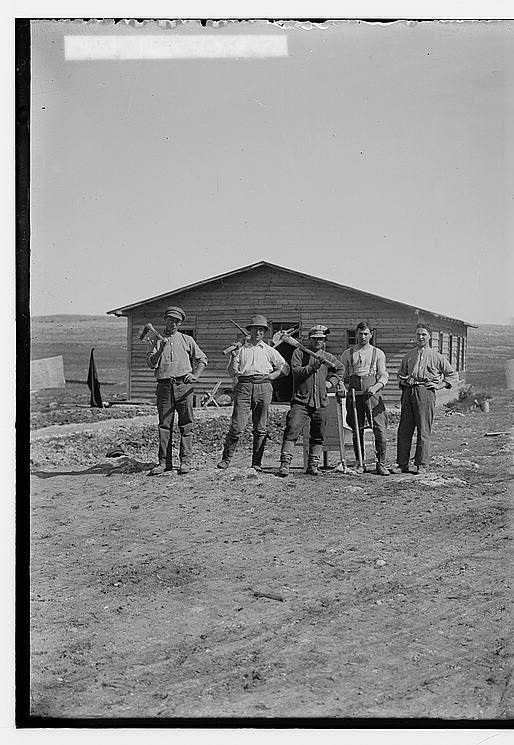 The next photos of settlers are also dated between 1920 and 1930, but the photos do not provide their locations. They bear this caption: "Jewish colonies and settlements. 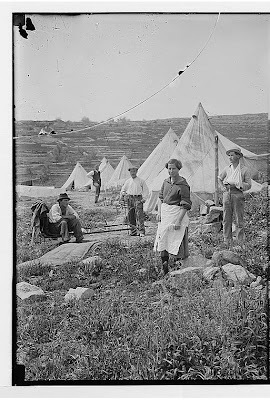 Commencing a Jewish settlement; a camp. Jewish settlers arriving."